Home > News > Gmat > MBA Admissions 2015: Should You Take The GMAT Or GRE? MBA Admissions 2015: Should You Take The GMAT Or GRE? As more business schools accept the GRE, MBA applicants are warming to the entry test — which poses a threat to the well-established GMAT. The GMAT has been the go-to test for MBA applicants but a new challenger threatens to rival the established business school admissions exam. The GRE has made inroads as more schools have accepted the disruptive test as an alternative to the GMAT. More than 1,200 business schools now accept GRE scores for MBA admission — among them the top-ranked such as Harvard, Stanford and MIT. “Most MBA programs view GRE and GMAT scores equally,” says Jason Baran, public relations manager at Educational Testing Service, which runs the GRE. The GRE’s growing popularity is illustrated by its double-digit growth among business audiences, he says. INSEAD has accepted GRE scores for the past five years, says Virginie Fougea, an associate director of admissions. It is offered in around 165 countries, she adds, which helps to attract a globally varied applicant pool. Total test taker volume for the GRE last year was around 724,000, up 3% on 2013. About 238,000 GMAT exams were taken in 2013, a plunge of 16.8% on the year before. But the figure when compared with its competitor's is misleading. The GRE covers graduate programs and the GMAT only business schools — total GRE volume is buoyed by other fields. Jason says the GRE’s advantage is that it is accepted by both graduate and business programs. He also points to the GRE’s ScoreSelect option, which lets test takers send only the scores they want business schools to see — although the GMAT recently introduced a similar tool. Chris Lele, GRE expert at admissions consultancy firm Magoosh, says most people would agree that the GMAT math questions are also slightly more difficult. “The hardest GMAT math question is harder than the hardest GRE math question,” he says. Yet there are bright spots for the GMAT. Testing has fallen in the US — the biggest market — but growth is significant in China, with 27,519 more GMAT exams taken by Chinese citizens over the past five years. “The GMAT is the predictive gold standard for graduate management education,” claims Ben Glover, managing director for Europe and the Middle East at the Graduate Management Admissions Council, which owns GMAT. He points out the GMAT is business school specific. “The GMAT says to business schools that you are serious about your business education,” he says. One potential advantage is the GMAT’s integrated reasoning section, introduced as an addition to the exam in 2012, in which test takers must organize data to solve multiple, interrelated problems. “GMAC is very excited about the IR section,” says Magoosh’s Chris. Consultants say IR can highlight a candidate’s ability to analyse data and give them an edge in the jobs market — data analysis skills are highly sought after. There are concerns about how business schools assess the GRE. A Kaplan survey of 200 admissions staff at US business schools found last year that 18% said applicants who submit the GMAT have an advantage over GRE takers. 78% viewed them equally. “This factor does make candidates anxious,” says Jon Fuller, a consultant and former senior associate director of MBA admissions at Michigan Ross School of Business. Even Jason at the Educational Testing Service admits that only “nearly 8 out of 10 MBA programs have no test preference”. But perhaps the biggest hurdle to widespread adoption of the GRE among MBA applicants is an ingrained bias towards the incumbent. 50% of admissions staff said in the Kaplan survey that just one in ten applicants submitted the GRE. 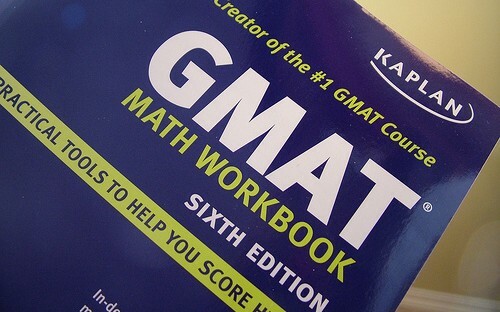 “They continue to overwhelmingly opt for the GMAT,” says Kaplan’s Dennis. Mahlena-Rae Johnson, a GMAT tutor at Varsity Tutors, points out that the GMAT or GRE will only count for one part of an application — MBA hopefuls must still factor in career history, letters of recommendation, personal essays and interviews.